In addition to being some of the best-looking baseball bats around, Mizuno wood bats are designed to perform at the highest level of play. For over 30 years, Mizuno has been adding to their expertise in engineering the highest quality Bamboo bats around. During the 2018 season and beyond, the Elite Maple / Carbon series gives players the edge they need every time they step up to the plate. With a maple composite hitting surface, this design is engineered to perform like maple, but with an extremely light swing weight for better control. The end is then cupped for improved weight distribution and even faster swing speeds. Mizuno is so confident in the integrity of this bat that they are offering a 120-day manufacturer's warranty against breakage! Mizuno: Never Settle! This Mizuno Elite Maple Carbon Composite Wood Baseball Bat (MZMC271 Gray / Black) features an approximate 2 1/2-inch barrel diameter, a slightly end loaded swing weight, and the BBCOR certification for high school and collegiate approval. With a 271 turn model, this design is recommended for both contact hitters and power hitters. Swing with confidence and purchase one of these Mizuno wood bats today with free shipping. Don't forget, with our 24/7 customer service, we'll be here from click to hit! Pros: It has really nice pop and I should know because I am a clean up and power hitter. This bat is insane it drives the ball hard and I mean hard. I hit a ground ball and the short stop dove for it and when he dove the ball hit him in the face and broke his nose. Absolutely amazing bat. It lasts a very very long time. The handle is great, it has a nice feel to it. 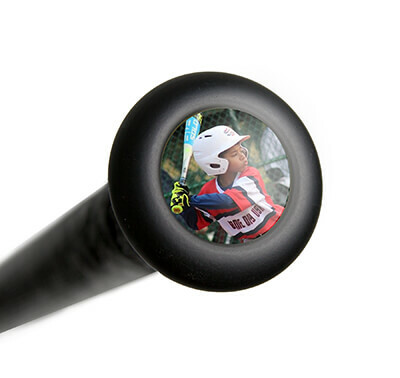 Have a question about the Mizuno Elite Maple Carbon Composite Wood Baseball Bat: MZMC271 Gray / Black? Ask our team of experts and they will respond within 24 hours. Which bat would you recommend for a leadoff contact hitter, the Mizuno Bamboo Elite BBCOR Wood Baseball Bat: MZE271WB or the Mizuno Elite Maple Carbon Composite Wood Baseball Bat: MZMC271 Gray / Black? Any 271 turn model would work well for a contact or leadoff type hitter. With the Mizuno Elite Maple Carbon Composite Wood Baseball Bat: MZMC271 Gray / Black and the Mizuno Bamboo Elite BBCOR Wood Baseball Bat: MZE271WB both being of the same turn style one will not be more advantageous for a contact style hitter. Which bat would you recommend for a leadoff contact hitter the Mizuno Bamboo Elite BBCOR Wood Baseball Bat: MZE271WB or the Mizuno Elite Maple Carbon Composite Wood Baseball Bat MZMC271 Gray/Black? This would be the first wood bat. Both the Mizuno Bamboo Elite BBCOR Wood Baseball Bat: MZE271WB and the Mizuno Elite Maple Carbon Composite Wood Baseball Bat: MZMC271 Gray / Black feature 271 turns with pretty balanced swing weights, so it would just come down to your preference. Both would be great options for a lead-off, contact style hitter. 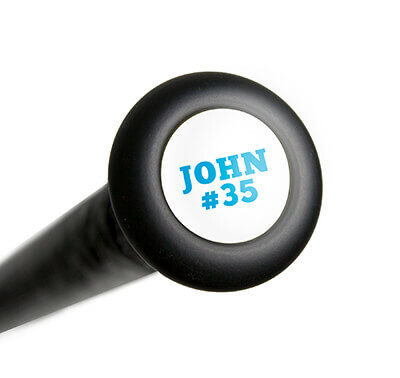 I am looking to buy a wood bat for my son who will be playing travel baseball as well as high school. He will be 15 in March so needs something highly rated as well as not illegal. Can you help me to determine if this would be appropriate or give me advice on something else? The Mizuno Elite Maple Carbon Composite Wood Baseball Bat: MZMC271 Gray / Black would be a great option for your player. This bat is BBCOR certified and legal for high school play. As long as the tournament play does not stipulate that it must be an all wood bat, this would be legal as well. The addition of the composite does strength its durability.